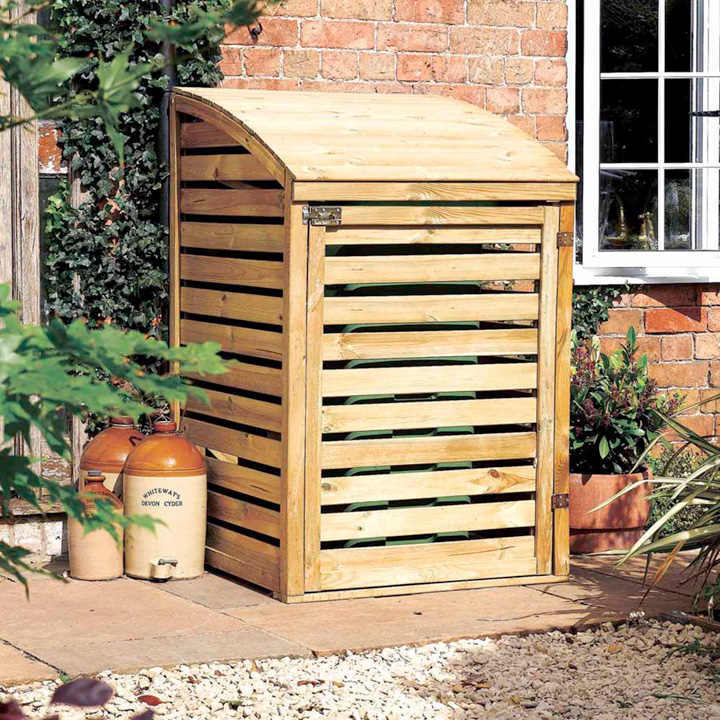 Designed to make a stylish feature out of a practical necessity, this Single Wheelie Bin Store gives you an ideal way to cover up what is an essential but utilitarian item. 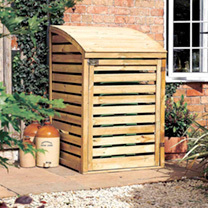 Provides easy access to a wheelie bin, with a single lifting lid that can be attached to the bin lid for ease of use. Natural timber finish, pressure treated against rot. Flat packed for home assembly. Maximum overall size: 80cm (31½") wide x 82cm (32½") deep x 128cm (50¼") high. Maximum bin size: 74cm (29") wide x 74cm (29") deep x 106cm (41¾") high. Ideal way to cover up essentials!